5 Favorite Buys for this RV Trip that I use at Home too! Since writing Amazon Products I Use Daily I’ve wanted to recommend other favorite products! If you are like me, when you find something that you like you are excited to share it with others. As we prepared for our trip, I bought a few new things. Here are 5 of my favorite buys for the trip. Plus, I found that I use these for more than just RV-ing, I continue to use these items at home too. thermal cooker. If fact, I did a whole post about it! We used this almost daily while in Panguitch and we’ve used it for ski trips this winter. This has saved us money, allowed us to eat on the road and lets us control what we eat while were are out. You can check out the entire post about the thermal cooker here, One of My Favorite Purchases in 2017. I was looking for a way to downsize the Keurig that we took on our first motorhome trip. The Keurig takes up quite a bit of space so I began researching other options. based on the numerous reviews from other travelers. The versatility and size is what really drew me to this particular option. We have an electric kettle that we’ve used with our french press. I considered just using the french press, but I find it to be a hassle to clean. The aeropress is very similar; basically a single serve press and much easier to clean. I also liked that it could be used while backpacking, in a hotel, etc. Most of the time I refuse to use the coffee makers at hotels, just a pet peeve of mine. I have used this on numerous occasions besides in the rv and tend to even use it at home now. I like that you can control the flavor by the amount of time the grounds are left to steep. Columbia Women’s Anytime Outdoor Pants at a local sporting good store and was even able to match the amazon price, as well as use an in-store coupon… big shopping score! I really like the lightweight wicking material, the pockets and the fact that they look like pants opposed to my usual yoga style hiking attire. These pants are very comfortable, easy to hike in and versatile while packing light. I’m sure these pants will accompany me on many more trips. I may even add a second pair to my closet. and absolutely loved them! These shoes are super comfortable, not too bulky, fit like a gym shoe and were just what I wanted in a hiking shoe… until we were hiking at Natural Bridges National Monument and the sand kept building up in the shoe. The vented shoe wasn’t ideal for such sandy terrain. After we arrived in Panguitch and began hiking, I remembered that I probably should have bought another pair of shoes for the sand. After the Panorama Trail hike, I knew that I needed another pair for this trip.
! This version is waterproof and again, was exactly what I was looking for. for his backpacking trip and liked it so much that I got one too. 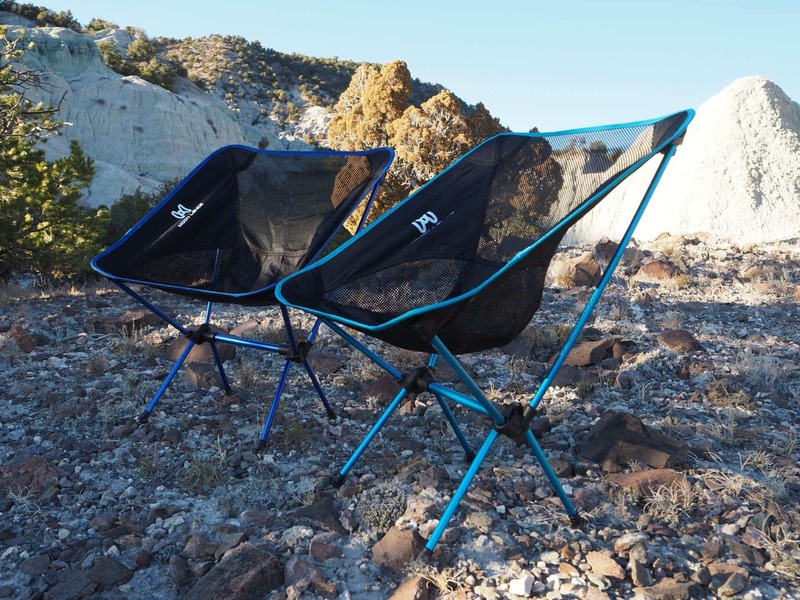 The chairs are lightweight and compact so they are great for backpacking and we keep them in the Jeep for picnic spots or to use otherwise. This chair is a great alternative to some of the more expensive similar chairs. Do you have favorite gear to recommend? What are some of your favorite camping / hiking / travel gear? Why would you recommend this item?